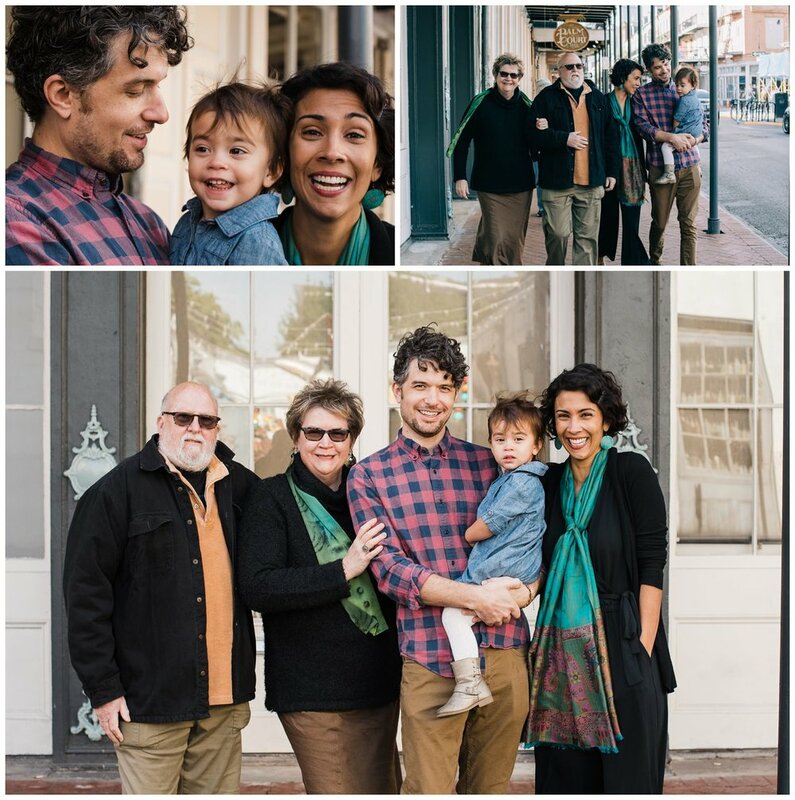 As a New Orleans wedding photographer, I don’t often take on family photoshoots. When I do, though, they completely hit it out of the park. (Remember this great family session?!!) 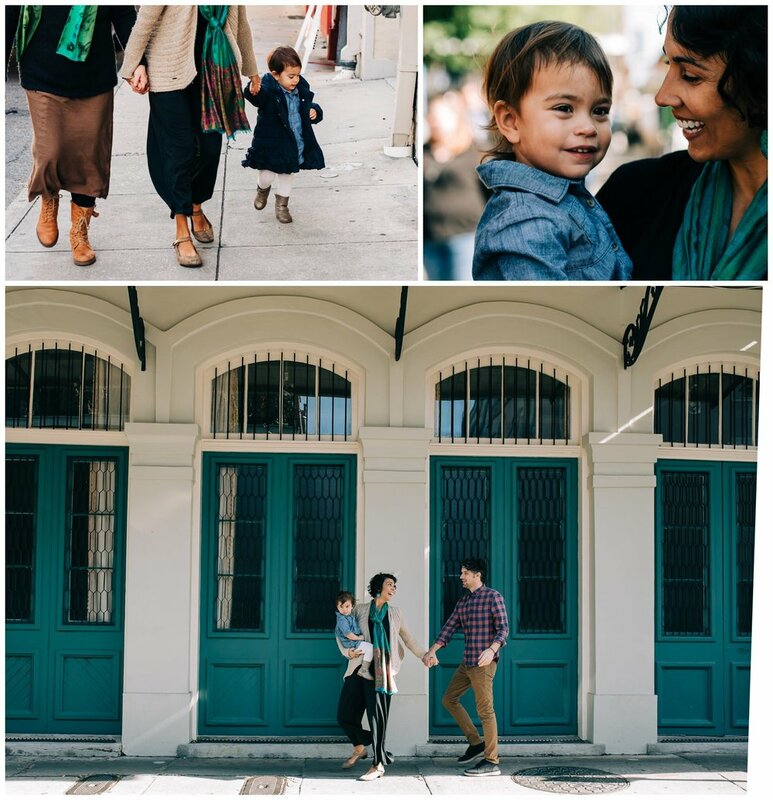 We woke before the tourists to hit the streets and were able to do our French Quarter family photo shoot and were rewarded with relatively few disruptions! My approach to family photography is different than most. My focus is to capture the story of your family as it is. 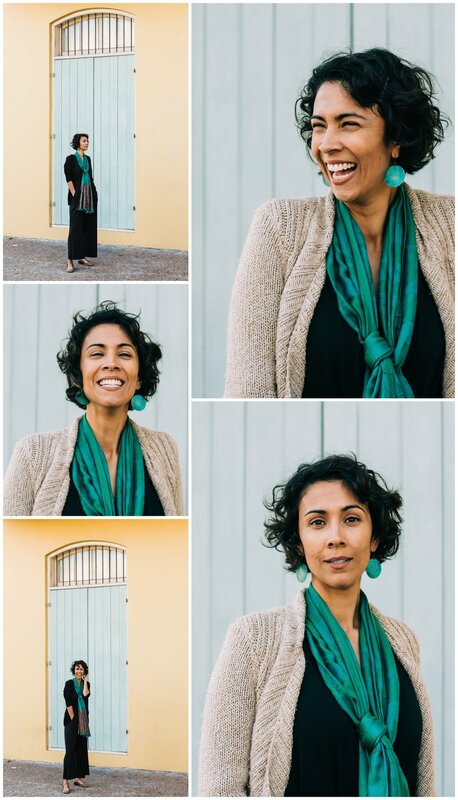 I love when we can do an activity together, and for this session, we clocked in over 2.5 miles walking all over the French Quarter. While we move, I pay special attention to capturing the small in-between moments. The moments when you and your family are interacting naturally. I often will walk backwards snapping photos as we chat about something completely unrelated. My other favorite thing to do is to steal the parents away for 5 minutes and get some couples shots. For this shoot it was perfect as Grandma and Grandpa came along to keep an eye on the adventurous 2-year old. Often as parents, adults’ lives become so involved with children's lives. My goal is to take you away for 5 minutes for a bit of romance and get you a small collection of great shots with your partner. Priya and Andy were a joy to work with. They showed up with a box of fresh bagels and even brought one for me. While we walked we chatted about how they had just spent two weeks in India and how they were excited to show their young daughter new cultures and lives beyond Louisiana. Priya and Andy both work in a non-profit that Andy had a hand in founding, working with music and children to create a fair and equitable world. They are a truly beautiful family inside and out.